Maruti Suzuki realized the top end version of its small car Alto 800 is missing and today silently launched the new Alto 800 Vxi variant. The price of the top end variant is kept at Rs 335,437 for non metallic shade and Rs 339.435 for mettalic shade. Under the hood, you get the same 796cc three-cylinder engine which produces a maximum power of 48PS and maximum torque of 69Nm. The 5-speed cable type manual transmission is retained. 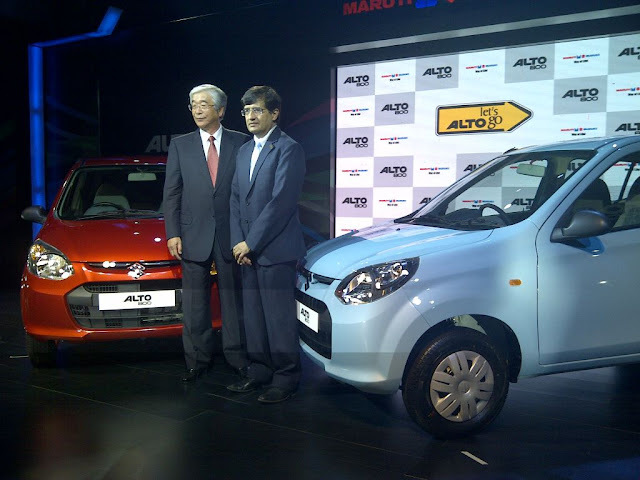 The Alto 800 promises an ARAI certified fuel efficiency of 22.74km/l and is available in six exterior color shades.